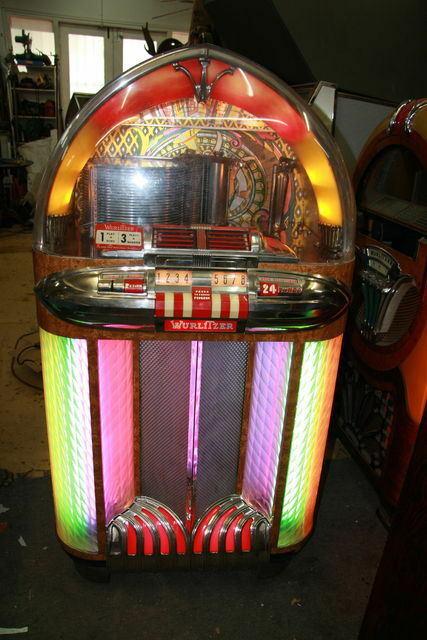 Highly collectable AMI Model A Jukebox. 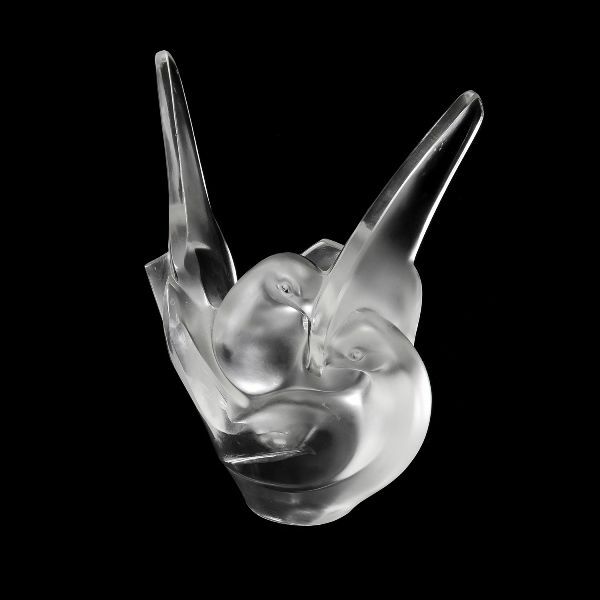 Affectionately known as the Mother of Plastic. 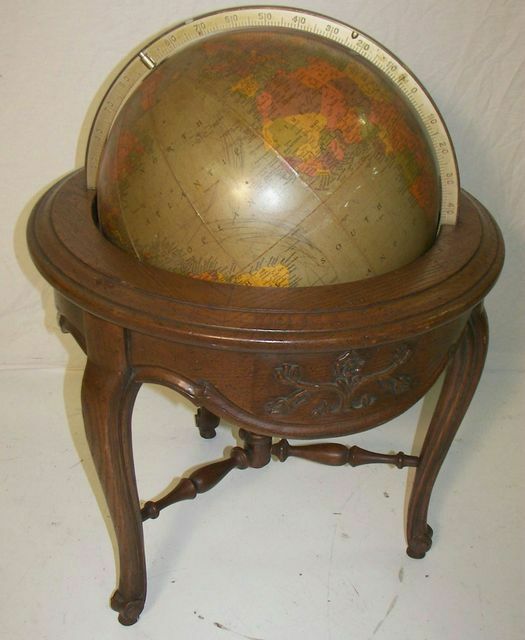 An eclectic collection of unusual Antique items. If you are in Sydney, it is well worth a look! Overall, 500mm wide 850mm high. 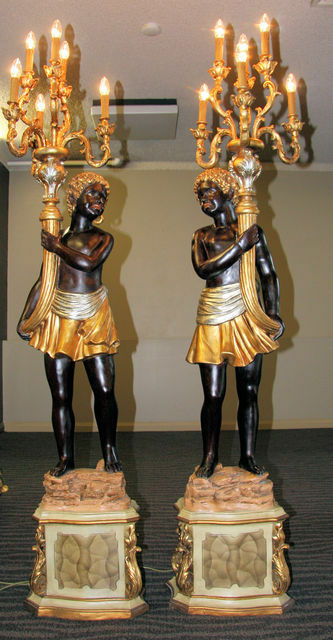 Each holding a six branch Candelabra. 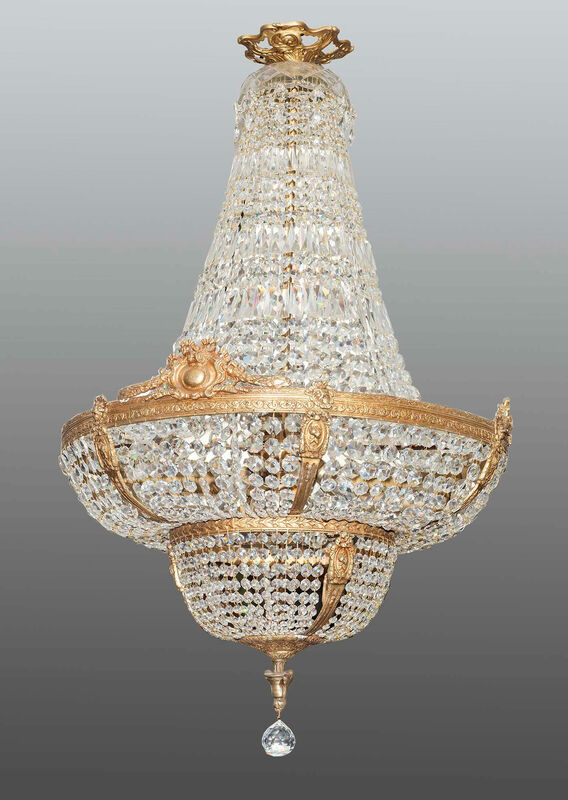 Four lights, bearing a French Foundry Mark. 700 high (excluding chain) 600 wide. Beutifully enamelled. 13 cms. High. Victorian Mahogany, hanging corner cabinet. 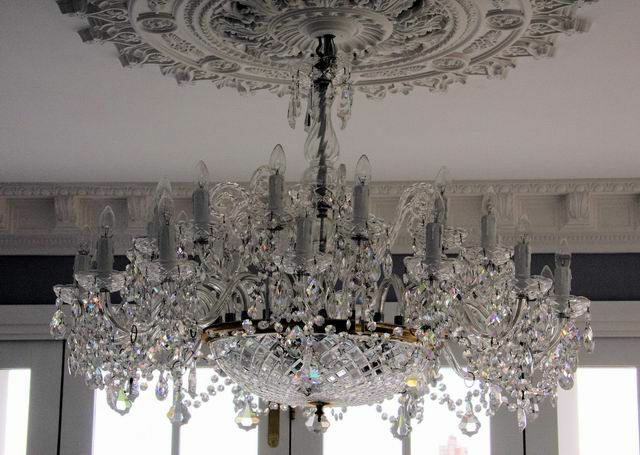 Massive Gilded Bronze and Crystal Chandelier. Antique Chinese Blue and White Wall Vase. 25 cms. tall. Marked to base. Built in 1948 Now 64 years old and still going strong. Has just been serviced and is in good working order. Has lots of changing colours, a very nice example. 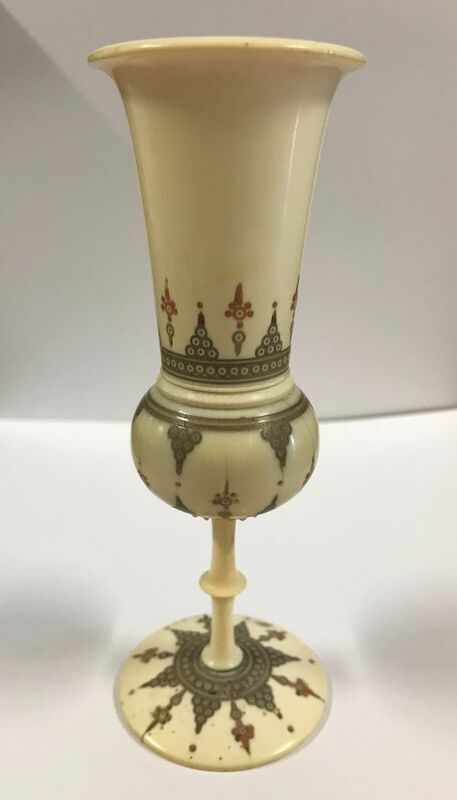 Antique Indian Ivory Lidded Box. Carved with elephants. 11 cms. high. Antique Satsuma Jardiniere on matching Stand. Applied moulding, Hand Painted and Enamelled. 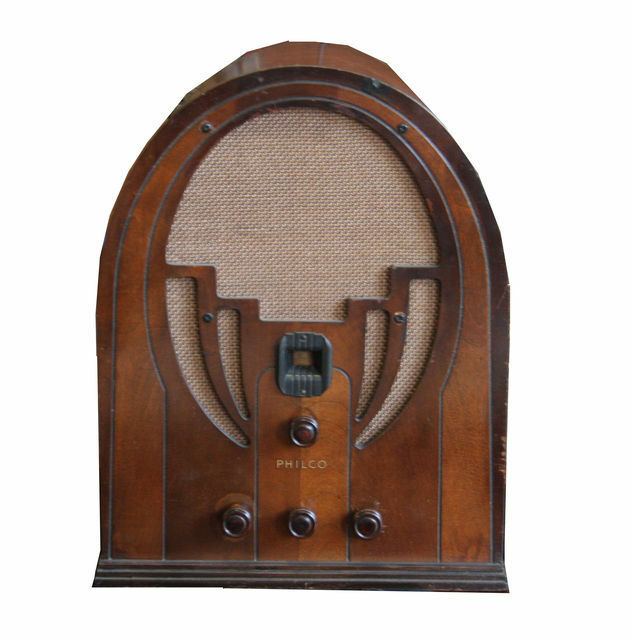 Philco Model 60 Cathedral Radio. with rouge marble insert top. 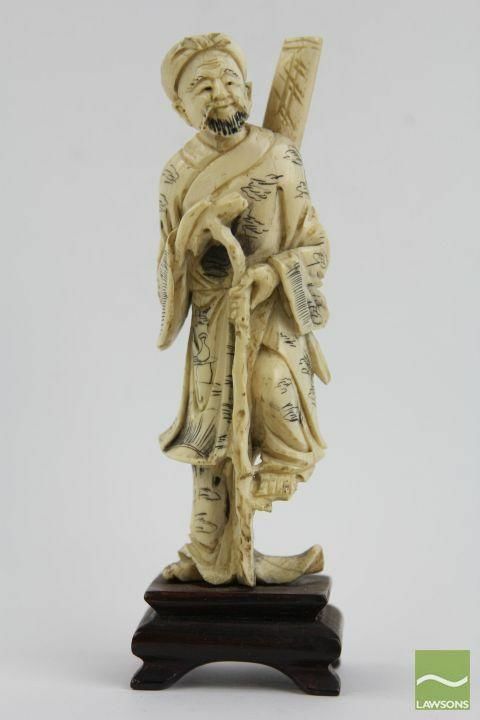 Antique carved ivory figure of a Chinese Elder. 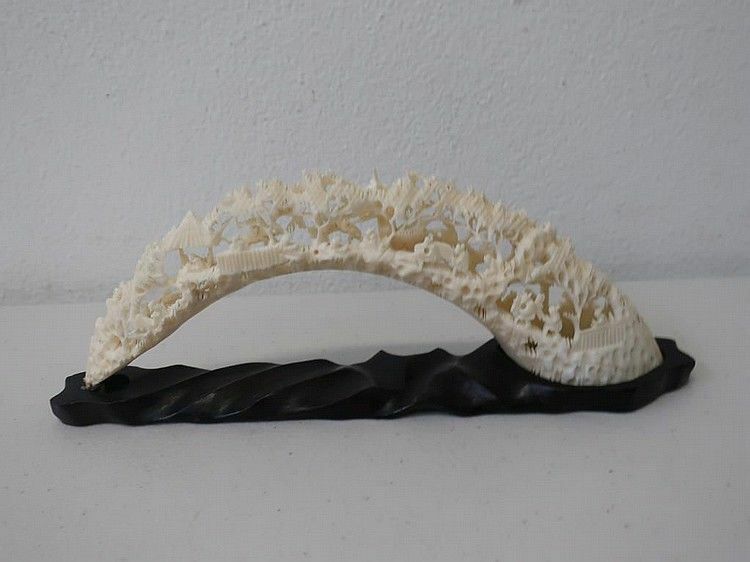 Large pair of carved African Ivory Tusks. 42 cms. high. Very heavy. 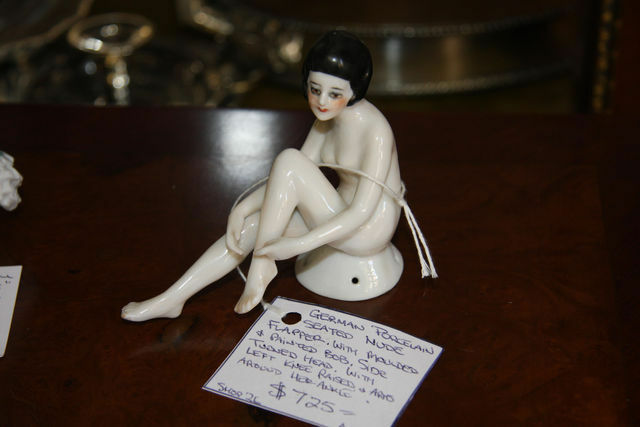 One of our collection of Bathing Beauties and Half Dolls. 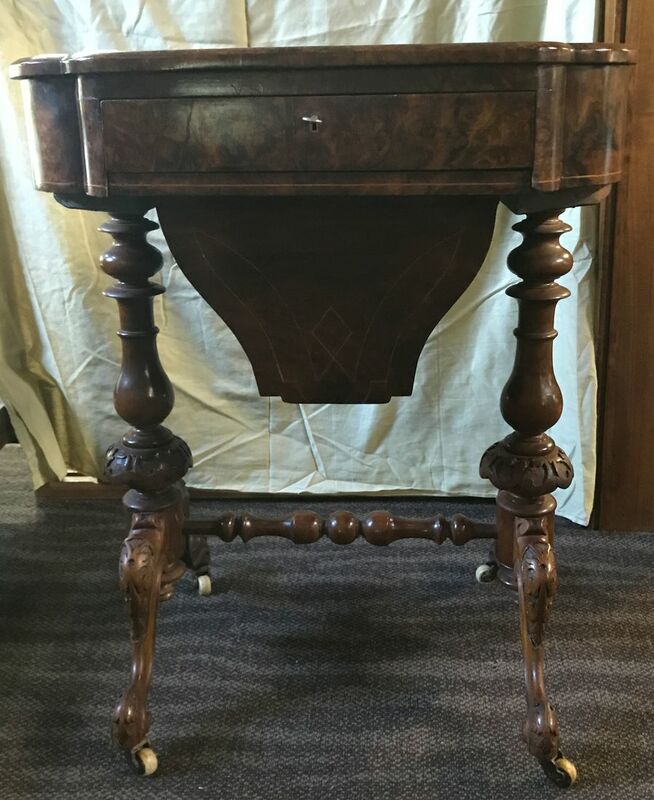 Antique Sheraton style sewing table. drawers and a needlework box below. of 20 cms.each 48cms. deep 72cms. high. 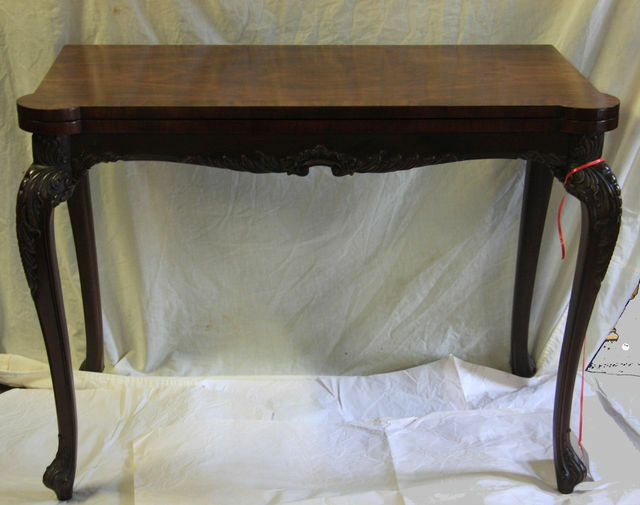 Very finely carved on matching Hardwood Stand. Circa 1880 20 cms. Long.